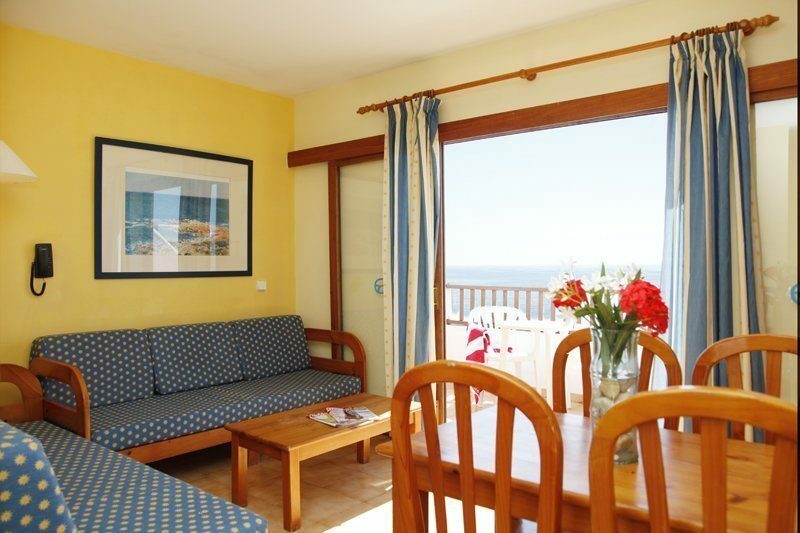 Roc Las Rocas Aparthotel offers a stunning seafront setting for a fun-filled break. This modern aparthotel combines a friendly atmosphere with outstanding facilities, contemporary guest rooms, and tasty dining options. The aparthotel is in a great spot to explore the nearby beach and shops of Cala Egos; but there's plenty to enjoy right on site too. Take a dip in the three on-site pools; for a more relaxing experience take a swim in the rock and sea water pool. Watch the children have their own fun in the neighbouring pool and kids club. Retire to your light and comfortable guest room. The air-conditioning and fridge keep things cool and you can watch your favourite programme on the satellite TV. 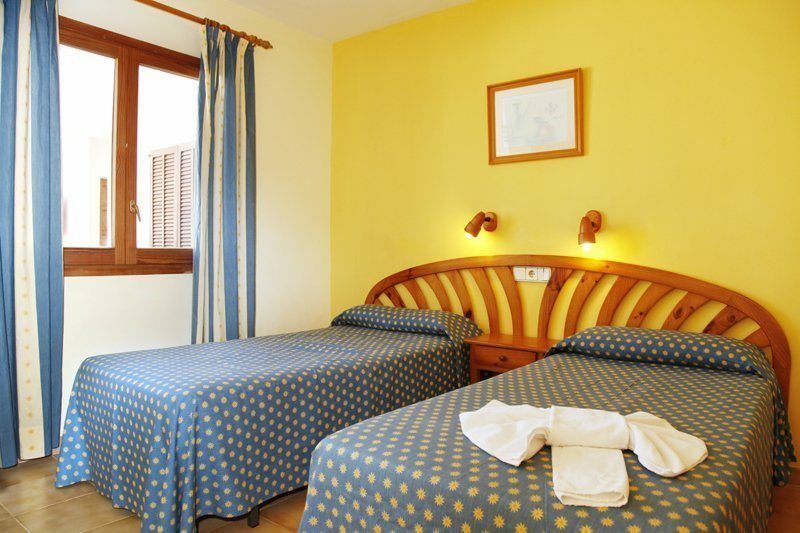 All rooms feature comfy beds and well-equipped bathrooms for a relaxing stay. Admire the local sunsets with a drink on your private balcony. There is plenty to tempt your taste buds in the on-site restaurant and bar. Breakfast and dinner is served buffet-style in the restaurant. Light bites and snacks are within easy reach throughout the day at the on-site pool and snack bar located at the heart of the hotel. Roc Las Rocas Aparthotel offers plentiful facilities, including: a restaurant, two outdoor swimming pools, children's swimming pool, pool bar, parasols and sun loungers, tennis court, games room, mini club, garden, entertainment, air-conditioning, complimentary Wi-Fi access, 24-hour reception, laundry facilities, and multilingal staff. The spacious Cala D'Or aparthotel has a total of 175 modern apartments, comprising 1 Room Apartments and 2 Room Apartments. All 1 Room Apartments feature two single beds, living room with sofa bed, private bathroom, furnished terrace, Wi-Fi access, satellite TV, telephone, safe, kitchenette, fridge, toaster, kettle, tableware and electric hobs. 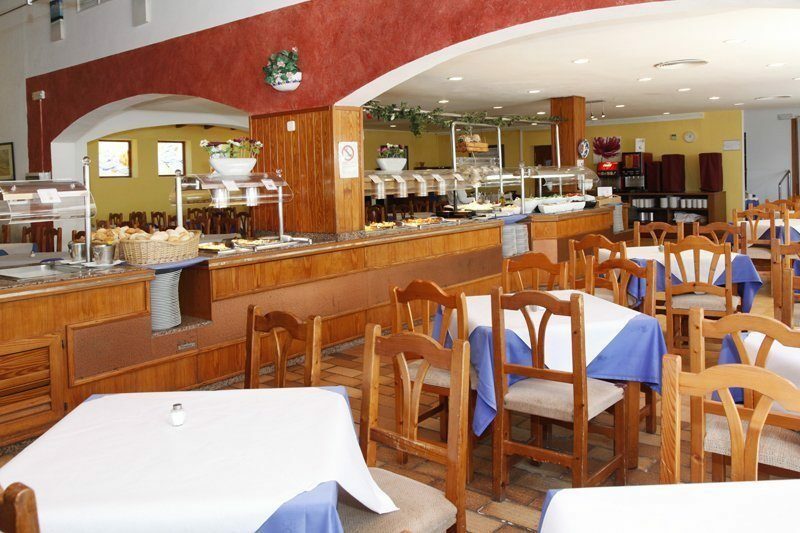 The main restaurant serves local and international buffet-style meals at breakfast, lunch and dinner. The pool and snack bar offers a selection of snacks at selected times alongside a full menu of hot and cold drinks. Enjoy the exciting evening entertainment suitable for all the family over a cocktail or mocktail.